The 9 Hole Pitcher's Pocket Practice Screen is a baseball and softball training tool perfect for evaluating a baseball pitcher's accuracy. 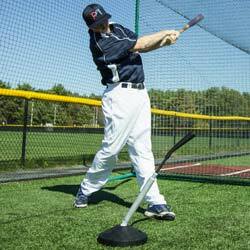 This baseball and softball training aid feels like your own personal catcher on the field, instructing you exactly where to throw the pitch and showing where it ended up. Whether throwing a fastball, curveball, or combination of pitches, the nine pitching pockets provide a complete variety of targets for a pitcher to practice pitching, to improve and help evaluate accuracy. This pitching tool works great on the practice field or in the cage, and also makes for great competition during practice. 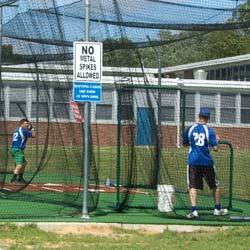 Pitching frame for this practice screen is constructed of 1 5/8" steel. Practice pitching pocket is laced with a #60 nylon net to a 1/2" bungee cord. The frame is protected with vinyl covered foam which is reinforced with grommets and sits on 2 removable legs. The pitching target is available in 9 different colors, so you can make sure your baseball training equipment matches your team or school colors. Replaces the Need for a Catcher! 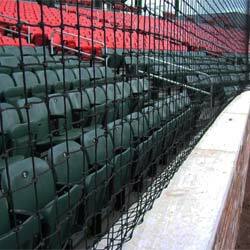 Best pitchers net for helping pitchers work on their command. Have had it for years, and it is a very good and durable product. Not too big or bulky, but very good tool for improving pitching mechanics, without having to have a catcher. The pitchers pocket really helps! I have 3 people who use this pitchers pocket of all different ages, and it works great for all of them. A versatile product that suits all needs. 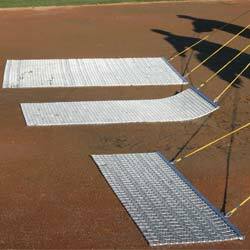 Purchased this pitchers net for my school district and the team seems to love the product, with no complaints from the coach! Perfect tool to best analyze pitches and their placement. Very fast delivery as well.